In teaching students how to stop thinking of each muscle in isolation and to think more about how the muscles are chained together by Fascia into functional lines or trains, Tom Myers developed the idea of an ‘Anatomy Train’. Over time he developed this idea deeper and deeper into a set of trains that he sees through his work and has been able to dissect in cadaver. These trains can be used to illustrate how a restriction in one end of a fascial line say the shoulder can affect the movement and function in a seemingly unrelated part of the body e.g. the ankle. Not only is this true of injuries, pain and restrictions in movement but it also lends itself to strength and balance, are you struggling to train a certain muscle group because of issues in a muscle further up the chain of that functional line? At last, something clients, students and professionals can relate to and which can explain why such results are seen through treating the body by regaining structure and balance in the connective tissue. A real game changer. A benchmark for which we can work to in order to regain balance and function within the body. 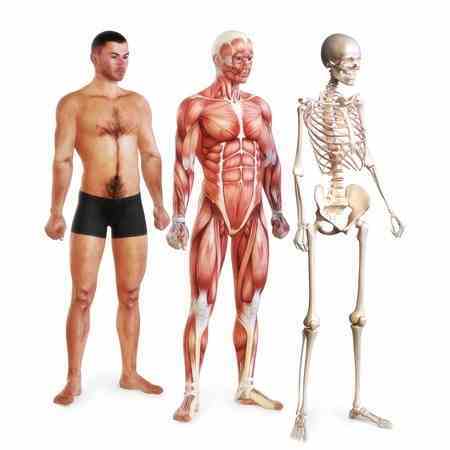 If you have not already studied Anatomy Trains as a therapist or fitness professional I beg you do so as it will absolutely change how you look at the body and increase the results for your clients. One such method for releasing fascial tension and restoring our bodies to their best balanced selves is Structural integration. Over a series of 10 – 12 sessions your fascia will be worked starting superficially, moving on to the deeper core sessions ending with a number of sessions to integrate your connective tissue and muscles into their new shape. By locking into the fascia in a plane, and getting your client to move the client can use you to release their own restriction. I think this is one of the reasons as to why this type of treatment is so effective. Think about it, if someone released a restriction for you, you then get up and leave and go back to your normal activities of daily life the chances are that your muscle and neurological patterns will result in you doing the same activity in the same way leaving you eventually back at square one. If you the client use your muscles, tissues and neural pathways to move into the new released state we have already started the re-education to keep you where you need to be. Your success rate is already increasing. If I look to the work of Noah Karrasch he has taken his Structural Integration background to develop a more efficient form of treatment called CORE Fascia Release. Again getting out clients to move and release their fascia as we the therapists facilitate this release by locking into their fascia we aim to achieve the same result but in only 5 sessions. The key differentiator in principle is that we should actually get straight to the Core. If we can release the deeper core fascial lines, the superficial lines take care of themselves and start to unwind. Believe me, anything that can get out clients better quicker is no brainer with me! And finally we get the point of this article, which is the most liberating part of the story and what I think will differentiate you as a therapist. Finding your clients Unique Myofascial Line. It was through my study of CORE Fascia Release with Noah Karrasch over the last two years that I was enlightened on this final piece of the healing jigsaw that we sometimes struggle to find. That client, we get 90% there but can never rid that very last niggle – is it because we have not found their unique line? In a perfect world we would all be functional, the reality – we are largely dysfunctional. We are a consequence of how we sit, walk, run, jump, work. How we hold a phone, how long we hold that phone for. What we do for a living, what we wear for a living! Each and every fall, bang, knock, surgery, scar and accident. Every death we mourn, every stress we feel. All of these facets of life shape how we hold and use our body and hence our fascia. In that case, are we back to square one? No. I believe and have seen that we do need a structure to follow and following the Anatomy Trains as we treat can get you to where you want to be, or certainly close to it. To get there more quickly and to get our clients to the best they can be we need to find their unique line. When we are working with our clients we need to listen. Listen to what the tissue is telling us but also to what are clients are telling us. If we are locked into the Fascia and the client is moving to free it and does not feel it, get them to move differently, move in ways that are not necessarily aligned to the usual trains or lines and if this feeds the work you are doing or what your client is feeling then go with it. Find a restriction, then get your client moving, moving towards a pain free existence! ← Fascia: Is it Really New ‘News’ in the World of Bodywork?